Why does your business need Managed Cloud Services? Your business has embraced the cloud, yet what resources do you have to manage it? Do you have gaps in your IT infrastructure beyond the cloud? Digital Planet delivers a fully Managed Service wrapped around your environment, right up the entire stack. As part of Evros Technology Group, our biggest growth area is not just to provide a Cloud platform, but to manage it too. 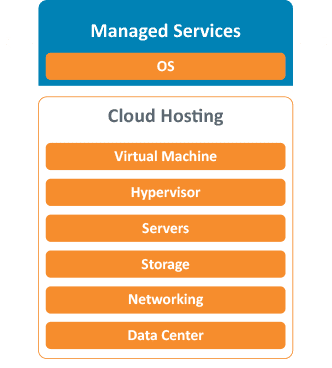 The Evros Managed Service capability has adapted to the emergence of Cloud Solutions over the past five years, enabling you to bolt on additional support services, and providing custom-built support capabilities for your environment. Digital Planet, while the largest indigenous Cloud Provider in the market, operates at a level where it is still possible to have direct relationships with customers. This means we can provide support for your environment at all levels, from applications to hardware infrastructure and everything in between. A consultative-led approach based on our experience, we determine whether it is the right solution for your organisation and if it’s the right time. Our Cloud Managed Services delivers a one-stop shop solution right up the IT stack, ready to deliver best of breed outsourced to your organisation today. Digital Planet has redefined how Cloud Managed Services should be delivered. Our Support Service team will triage, diagnose and repair all ICT assets at the customer's onsite which lies outside of the Digital Planet environment, including dispersed office locations. The Systems Infrastructure Service delivers your daily system administration tasks and management on the cloud solution, with a wide array of skilled resources to maintain performance, capacity and availability of the customer's environment. The Network Infrastructure Service provides operational technical support to clients on all of their identified network and Wi-Fi infrastructure, from various manufacturers outside of the connected Digital Planet network. The Backup and Replication Support Service provides operational technical Backup support to clients on their own identified environment. The service monitors, manages and supports clients' environments and backup and replication related issues. Are you ready to fully optimise the power of Digital Planet? Speak with the team today.